The Latin Band was born in 1990 to the collective talents of Fernando – “Kinacho” and Lisandro from Colombia. 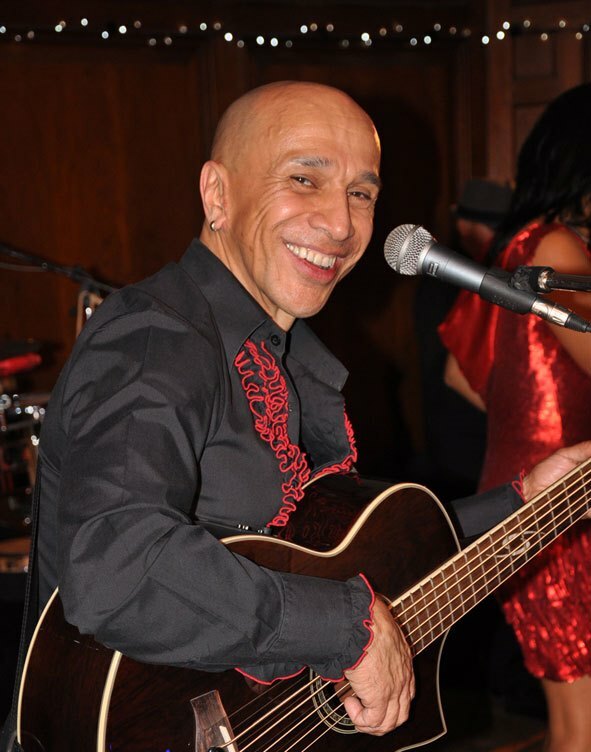 Both are highly professional performers and are widely experienced in the Latin and jazz scene. 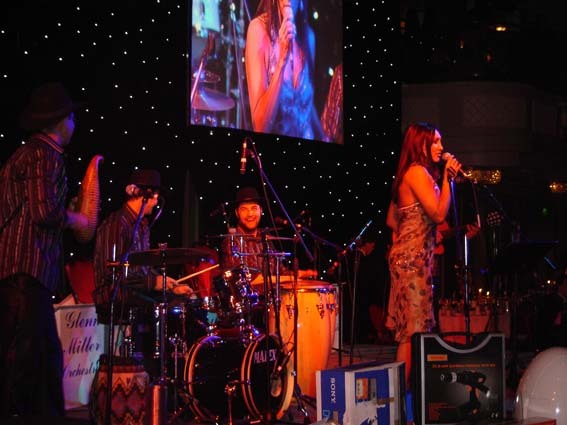 The Latin Band’s eclectic repertoire is passionate, dynamic and eminently danceable: from the characteristically hot blooded tempos of Cuban salsa and Brazilian lambada, the traditional folk rhythms of Colombian cumbia and Dominican merengue, to the latest Caribbean reggae and universally popular Spanish style “Gypsy Kings”. 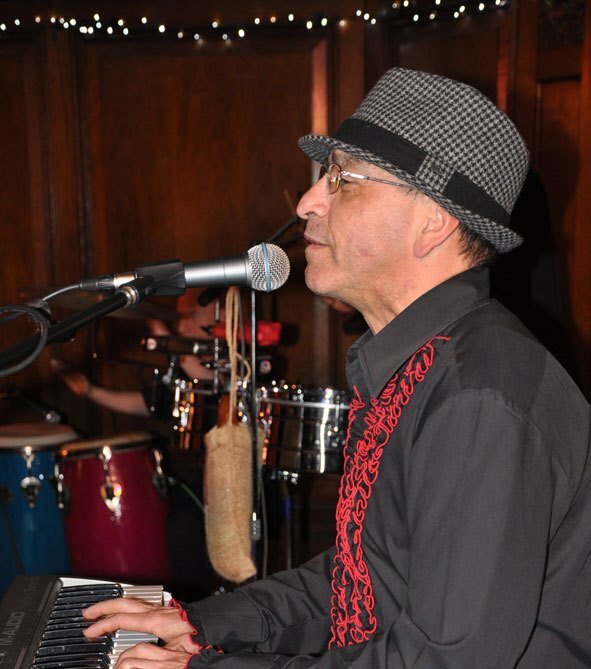 This all singing band includes the traditional Latin rhythm section, piano, guitar, bass, congas, bongos and timbale. It is fronted by Adriana also Colombian, who has become the “Queen of Salsa” in London captivating the audience with her magnetic voice and sensual dancing. 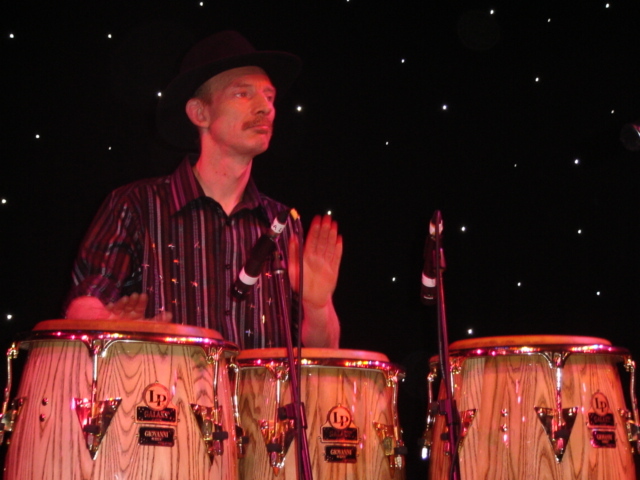 Over the years The Latin Band has toured Switzerland (Montreaux Festival), France, Italy, Spain, Tunisia, Morocco, Malaysia, Indonesia, Ireland and Turkey. The band has performed for dignitaries such as Prince Charles, the late King Hussein of Jordan, King Juan Carlos of Spain and has become a spicy ingredient at hotels, clubs and many pop stars parties. In the UK, the band is well known from North to South as a leading Latin band spreading the Latin fever from small to big audiences. 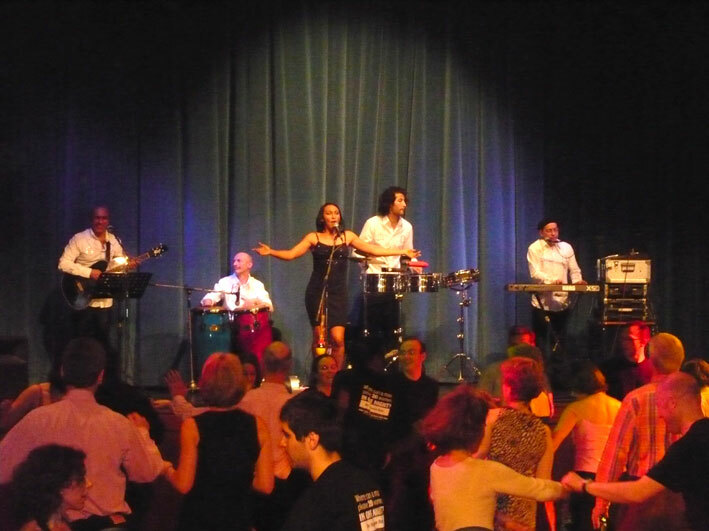 The Latin Band has been invited to the Barbican Centre, the South Bank, The Edinburgh Festival and several TV shows. 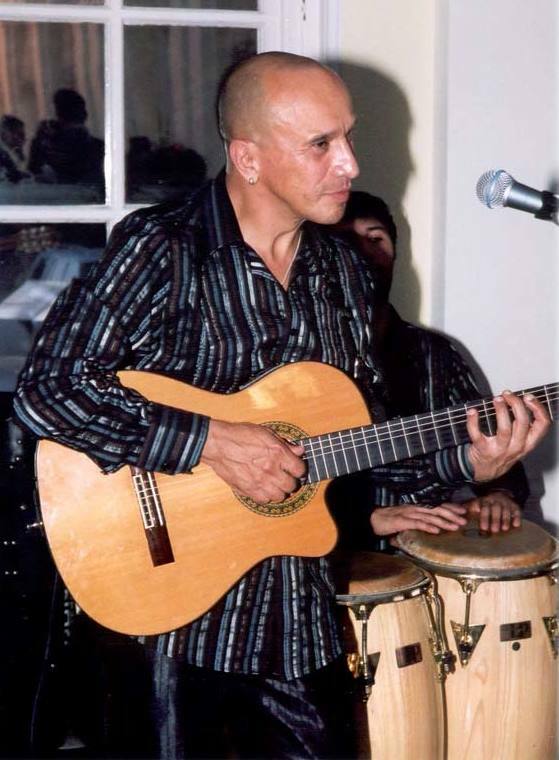 The Latin Band over the years had worked with the collaboration of great Musicians such as: Oscar Ruiz, timbale; Bill Bland, congas; Alejandro Martinez, multi-percussionist and Luis Carlos Fuentes, drummer. 3 x 45 minute sets. Just a quick message to say thanks so much to your entire band for playing for us on Sunday. Everyone loved it and thought you were fantastic. You certainly helped make the event something special! Thanks also for the dance which was great fun! I look forward to seeing you again sometime soon and we can’t wait to have you back in Cambridge! Just to say, what a fabulous night you gave us on Saturday at St Lawrence College. You definitely lived up to your reputation, and the salsa lesson you gave Adriana was superb! We couldn’t have asked for anything better…We received so many compliments on the band, and my brother say’s he loves you! You are a fabulous dancer. How do you sing and dance like that at the same time? … Thank you again, for being so approachable and friendly. You nearly killed us with your energy!